Can a game help kids learn kindness? Josh Unruh thinks so. Unruh has created a world, where everyone is a hero. 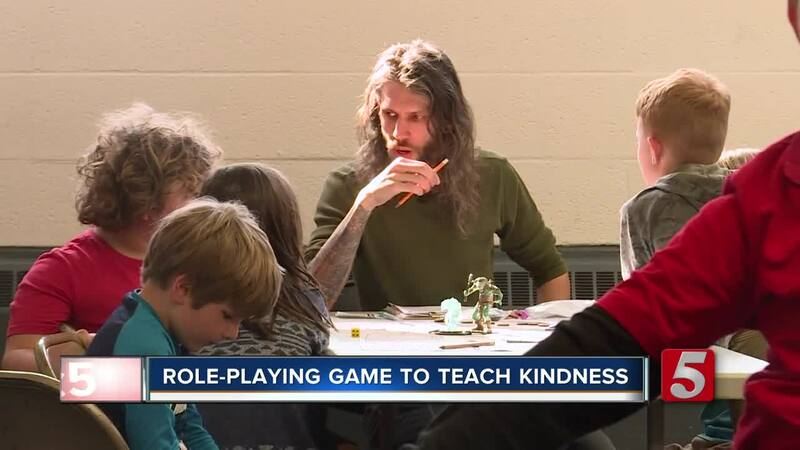 NASHVILLE, Tenn. — Can a game help kids learn kindness? Josh Unruh thinks so. Unruh has created a world, where everyone is a hero. The Nashville barista was 12-years-old when he was first introduced to the role playing game Dungeons & Dragons. Now at 34 years-old, he still plays the game but acknowledges, it can get a bit dark. "The content is intended for adults. So for that reason the stories can go to a darker place," he said. Unruh decided to lead the younger generation through a role-playing world he designed -- with kindness and empathy in mind. "There is no choice. You are good. You are expected to do good. You are rewarded for doing good," he said. Join The Heroes Guild. Sit around the table and decide who you want to be. You can then earn "Hero Points" by working together on a quest. Unlike the rule-book for Dungeons & Dragons, which can be hundred of pages long, The Heroes Guild game is easy to learn for kids still in elementary school. The program offered through Metro Parks programming. "We've worked with a couple hundred [kids] in Nashville at this point," he said. Unruh says role playing games keep kids away from screens and teaches them social skills, reading comprehension, even math. "Role playing games or as I like to call them Cooperative Storytelling Games really are the perfect medium to pass down our beliefs, our morals and our lessons. And it's even better than watching a movie or reading a book because you're an active participant in it," he said. If you would like to join the guild click here .